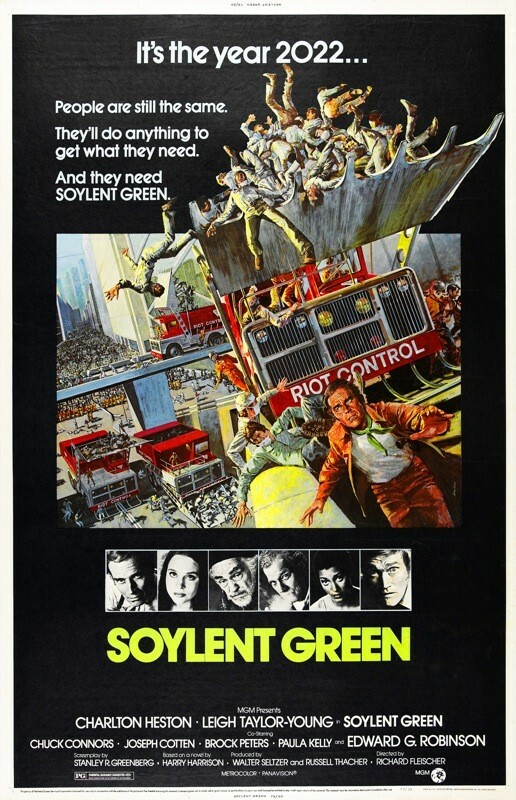 “Soylent Green is people!” is one of those statements so ingrained into the public consciousness that it doesn’t count as a spoiler these days. But when Soylent Green was released in 1973, this revelation was a shocker, even transgressive. 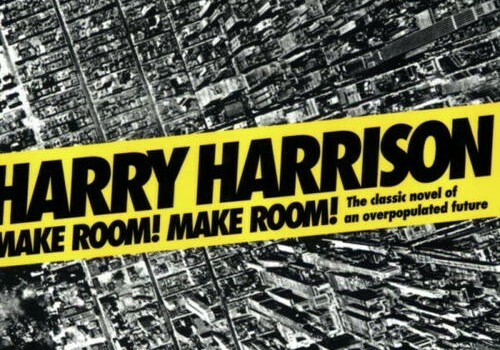 For fans of Harry Harrison’s 1966 novel Make Room! Make Room!, upon which the film Soylent Green was based, the revelation was an even bigger surprise – it wasn’t in the original novel at all. For all that Soylent Green was a grim prediction of the future, its source material was perhaps even grimmer. Make Room! Make Room! was written with regards to many worries of the time: overpopulation, environmental awareness, and the introduction of the birth control pill. The central figures of the novel experience life in 1999 New York City mostly through deprivation. Through these characters, the world of 1999 is explored. Its crushing overpopulation resulted in poverty among the majority of the people who form the lower classes, and the decadence experienced by the select few who form the elite. Perhaps the most notable issue in this novel is the lack of food and the controversial production of Soylent blocks that are supposed to serve as nutrition for the masses. Detective Andy Rusch is the point of view character for most of the novel’s first half where this is particularly explored, and it opens with his examination of his malnourished and overworked body in his dingy home. Compare this to the home of murder victim Big Mike, which comes complete with a concubine, Shirl. Shirl has exchanged indignity for a life of relative ease, and while at first glance it could be easy to condemn her decision the vast majority of the novel makes the reader question if it is the correct one. Reaching for a better life is not rewarded in Make Room! Make Room!, as the few who try to make a difference are swatted down harshly. Billy Chung, a looter-turned-Soylent-delivery-boy, is the accidental murderer of Big Mike and spends most of the book on the run in increasingly depressing conditions. Andy’s roommate Sol, an elderly remnant of a previous time, is the book’s conscience and is therefore not long for the world when he tries to make a stand. Shirl finds herself returning to her old life when love is not enough, and Andy finds himself alone and demoted at the end of the story. The future, it seems, is a terrible place. The prose really drives home how bad the surrounding world is. The landscape is a desolate ruin, overtaxed by too many people and too much industry. It seems prescient, in retrospect, that humanity’s abuse of the environment is at fault, as opposed to a natural disaster. In modern times, we are aware of what an impact human-caused climate change has on the world. As recently as 2013, CO2 from human activities accounted for 82 percent of all greenhouse gasses released into the atmosphere, according to Ohio Gas. If these conditions increase, it could only be a matter of time before we find ourselves eating artificial Soylent blocks instead of the real food that we all take for granted. Make Room! Make Room! 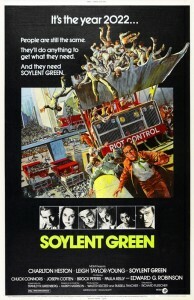 and Soylent Green remain classics of the dystopian genre, despite their shortcomings. While Make Room! Make Room! excels in worldbuilding, it lacks a cohesive plot, serving more as a glimpse into a possible future. But it is through these glimpses that today’s audience can take warning and action to avoid a similar future of their own.